June 22, 2017, © Leeham Co.: The Boeing 737 MAX 10 received a rousing endorsement from lessors and airlines last week at the Paris Air Show. There were 361 orders and commitments announced, blowing through Boeing’s own forecast Monday of 240 orders. Never mind that 214 are conversions from other MAX orders, a fact Airbus COO Customers John Leahy used to downplay the program launch: the performance is a dramatic contrast to the poor reception Boeing received only three months earlier, at the ISTAT conference in San Diego, when a soft launch was rolled out by Boeing. Randy Tinseth, VP-Marketing for Boeing, revealed the general outline of the MAX 10 at ISTAT to a resounding thud so loud that Boeing hastily arranged a conference call with reporters to do damage control. Among those less than impressed was prestigious lessor Air Lease Corp., whose chairman, Steve Udvar-Hazy, and CEO, John Plueger, are leading influencers in commercial aviation. Plueger was decidedly cool to the MAX 10. Notably, his company was not among the lessors announcing an order at Paris. But lessors Aviation Capital Group, BOC Aviation, CDB Leasing and Tibet Financial Leasing, both of China, were among the lessors ordering or committing to the MAX 10. BOC Aviation is headquartered in Singapore but majority-owned by Bank of China. When the lessor went public last year, Boeing took a piece of the action to become a shareholder. ACG, which ordered 20, is wholly owned by Pacific LifeCorp insurance. ACG is in the process of planning an Initial Public Offering. Ordering the MAX 10 was part of a strategy to boost its portfolio skyline in anticipation of the IPO, a company official said. AerCap, the third largest lessor in the world, ordered 15. GECAS ordered 20. The big “get” was United Airlines. It ordered 100 MAX 10s, all conversions from existing MAX orders. This, too, was a turnabout for UAL since the ISTAT March conference. Then, UAL’s fleet planners were unconvinced about the MAX 10. But the ties between Boeing and United are very close. Boeing threw in some 777-300ERs to sweeten the pot. Boeing wanted United to take up 10-12, according to one person familiar with the negotiations. In the end, UAL took only four. COPA converted 15 orders to the MAX 10. Xiamen Airlines signed an MOU for 10 and Malaysian Airlines ordered 10. By the time it was all said and done today, 16 customers signed up for the MAX 10. Airbus’ Leahy, and his end-of-show press conference this morning, downplayed the MAX 10 launch because of the high number of conversions. This is a red-herring, however. Up-gauging from one series to another is common with Airbus and Boeing. But Ihssane Mounir, VP of Global Sales & Marketing, provided what perhaps is the better explanation: the 737 backlog means there are no available slots until 2022 and some customers want to take delivery beginning in 2020. The only way to do so is converting existing orders to the MAX 10, he said. Boeing thumped Airbus at the show, a venue where the latter normally outshines Boeing. The last time Boeing prevailed in the orders race was 2012. Boeing ended the show with 561 new orders and commitments, 361 of which are from the MAX 10. Fifty-eight orders/commitments were placed for the 777/787. Mounir said he expects more 777 Classic and 777X orders this year. what do you think the incremental cost to United was (per plane) to upgrade from -8s to -10s? a couple million at most? list price (ha!) is a $15M bump, but no way did United pay that. what is the estimated incremental development/cert cost for the -10? estimated break even on development cost in units? Its still a very impressive start given the circumstances. Also you forget that every 10 ordered (of orders not converted from the 8) is potentially one less A321. Brexit, Trump, Corbyn, 737 Max10-major pundit failures. Not really. Every -10 ordered is more like one less -9 and MAX200. Airlines who ordered the -10 aren’t airlines who would have ordered the A321NEO anyways. If they’re going for the -10 and it’s lesser performance, it obviously means they didn’t need the range and capacity of the A321. Not really. Every Max10 ordered can still be more like 1 less 321Neo. Lessors who ordered Max10 are lessors who would have ordered more 321Neo(especially when the Max10 alternative did not officially existed before 19Jun2017). If lessors are going for Max10 and its lesser performance, it reflects some of their own customers seeking to lease the largest narrowbody available didn’t need the extra range(nominally 9% longer) nor the minor capacity bump(nominally 4% more in max density) of the 321Neo all along but had no real alternative. With initial positive airline response was wondering if Boeing are thinking of a lower seat capacity MAX10 (ER) with AUX tanks for ranges of 4000-4500NM? Basically something along the lines of the 321LR. I just wonder what the runway requirements will be with the extra tanks. Any aircraft going that far 4000+ miles will be departing from a major airport with fairly long runways. No HPN, etc, but like BUF,MDT,PVD,etc. Any knows who could be the undisclosed major airline who has ordered 125 MAX8 (+50 options). It sounds a lot like the Delta requirement? That will be a real blow to Airbus, especially after the BBD “incident”. Wonder if Boeing still have a case of the Delta CS100 order threatening its existence after the PAS? Maybe one of the Chinese Big 3? Air China and China Eastern are both big 737NG operators without any 737 MAX orders. Just a guess. I doubt that Delta would skip the whole RFP process. Unless Boeing offered the 737 MAX at a really crazy price like $30 million, and I don’t think Boeing is that desperate. Can be Ryanair for use on every european airport with long enough runways. Switching half its 737MAX orders to the -10. Most likely the -10 will be offered with a thrust bump compared to the 737MAX-8. If not Ryanair it can be Norwegian ordering MAX-10’s with options to trade in its early -8’s. “Boeing ended the show with 561 new orders and commitments, 361 of which are from the MAX 10.” But 214 are conversions from other Max versions. Those are neither new orders nor commitments. Yes, there may be a little upsell (although very little probably) value in the conversion. But to me it sounds like 347 new orders and commitments. I believe, based on the chart in the previous post, that the conversions were already backed out of the 561 number – if those were included, it would be north of 700 new orders and conversions. Scott? Scott: year-end total or Farnboro’ announcements? Still some life left in the 737, regardless of what others had to say. It should slow down some of the A321’s momentum. Maybe go from 60/40 to 55/45 in cutting Airbuses lead in narrow bodies. Looks like Boeing will also have to increase production rates. So we will see whether Boeing increase their share. Something is not right here, looks more like production should go to around a 1000 per year. Will you order a car and wait 10 years for it? So will Airbus stop selling A320/1 due to its backlog? By the time customers receives it it will be an outdated aircraft. So, with all these Max 10 orders the very last thing Boeing needs is lots of orders for lots of 737 700/7-1 clogging up the production line, even if they were intended to carry on producing them. 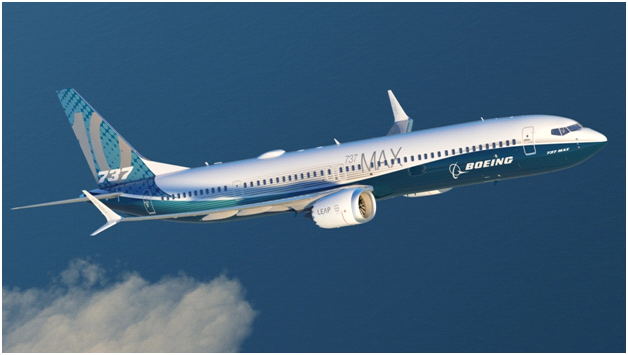 Sept. 2, 2015, (c) Leeham Co. Boeing faces a production gap for the 737, based on an analysis of the delivery streams of the 737NG and the 737 MAX. Both the 737 and A320/1 families have been “out of date” for quite a while (737 more so). But when there’s nothing else to buy. This is why Airbus, even now, can still sell the original A320 (they picked up a few orders at Paris). Surely an airline would prefer A321neo if they could get them. I think that illustrates the gulf between the A320 and and 737. It’s remarkable that a 25+ year old type that’s not changed that much since the beginning is still selling today. Despite all the changes to the 737 in the interim Boeing still can’t persuade airlines to not buy A320s. As for the A321neo, well that’s in a league of its own. The talk about a production bottleneck at Airbus is basically the clincher. They’ve got a ton of orders and can get more if they grow their production capacity. Boeing haven’t got that, and seem to have to give away free 777s to persuade even United to place an order for 737s. Maybe we’ll start seeing A380s being thrown in with A321 orders as a free gift! I know nothing about the Airbus production line set-ups but think there is a need for the A321Plus (A322) at the lower end of the NMA market. The A330/NEO seems to be fading, won’t it be possible to adapt the A330 production line to build a theoretical A322? B757 and 767 are CAT-D, my view is that an A322 wing should be the best possible for flying ~220 pax (2+ class) 4500-5000Nm without AUX tanks even if it must fall in CAT-D? Your comment really made me think and is very valid. Looks like an NSA production is required by only~2030? So this is the right time to develop the MoM/NMA. What allowance should be made for OEMs’ over-booking, especially in the yonder years..? My count for new 737MAX8 only (orders/options/Mou’s/etc) stands at ~460. This excludes the minuses of some airlines that converted MAX8 orders to 10’s. This includes a 125 order (+50 options) from an undisclosed customer. Well so much for what I thought. Does this give Boeing back the 50/50 market? Even for a month or two? Al Bakar was a hoot when he said that Boeing didn’t need the NMA, they just needed to develop the 787 more! Too many oil well fires sniffed? And market tumped you too Scott!! In the auto industry its called ‘money on the hood’- where they give you cash to buy their product. I don’t think we have seen the last version of the 737 MAX yet. A 66″ stretch for the MAX 200 and the new gear so it has enough room for 200, instead of being the MAX 197 as it currently stands for Ryanair? It seems Boeing managed to keep United from deflecting. Good for them! It was clear that whatever happened, United was going to be the winner. Taking this to a higher level, who, we feel, is the real winner from Boeing keeping the 737MAX alive for years to come, and pushing out a NSA? I’m tired of sports/war terms in this context. Winning customers business is the proper , trading values. I will use the word “stiffed” for what happens to taxpayers with local subsidies and government bailouts etc. which most airliner manufacturers are guilty of.